Derby Theatre has a fine tradition of excellent Christmas productions for the family. This year they are hoping to build on that audience by presenting a family show at Easter, inspired by Rudyard Kipling’s Jungle Book (1894). It is not a Disney musical stage show and has none of the music from that much-loved film. Instead this is a big production version of Neil Duffield’s adaptation of the story with original music by Ivan Stott, who composed the score for recent productions of Hansel & Gretel and Peter Pan. It is a bold choice. The film is ubiquitous, endearing and cross- generational. The soundtrack to the film iconic. The story itself is not a story, but episodic tales, serialised, and first published in a magazine. Kipling was a friend of Baden Powell, the founder of the Scout movement, who appropriated numerous aspects of Kipling’s writing. Every cub scout will come across Akela. The Company had big shoes to fill. 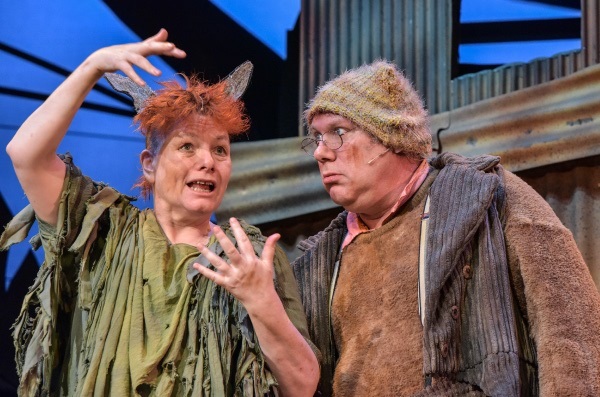 What makes this production unusual is that it has fully integrated BSL interpretation and captioning for Derby, the largest deaf community outside of London. Onstage, characters sign, above the stage, a large captions board has the words projected upon it. The premise of the story, a group of animals who adopt a human abandoned child, Mowgli, is perfect for this device, and acts as a natural bridge for communication between the characters. Mowgli, the wolf cub boy, is adopted by, and grows up in the jungle amongst wolves, battling with the tiger, Shere Khan, for primacy, with help from Baloo, the bear, and Bagheera the panther. It is a tale of abandonment, reconciling differences, and belonging. Intriguingly Kipling himself was adopted, adding to the authenticity of the abandonment theme. It is also a search for the red flower, and the dilemma Mowgli confronts when he stays in a human village - where is home? The characters are faced with both the law of the animal jungle and the artifice of British colonial and human village law. Mowgli not only travels between two places, but two worlds. A large tree with branches roots and walkways serves as a single set within which the twenty strong cast interact. 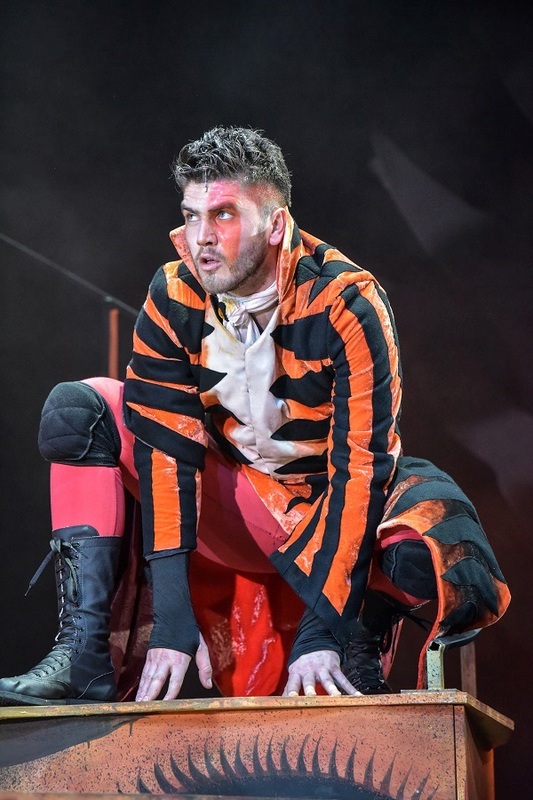 Set and costume designer Ali Allen has done a fine job at delivering a functional stage and vibrant costumes, lighting by Alastair West is uniformly bright! 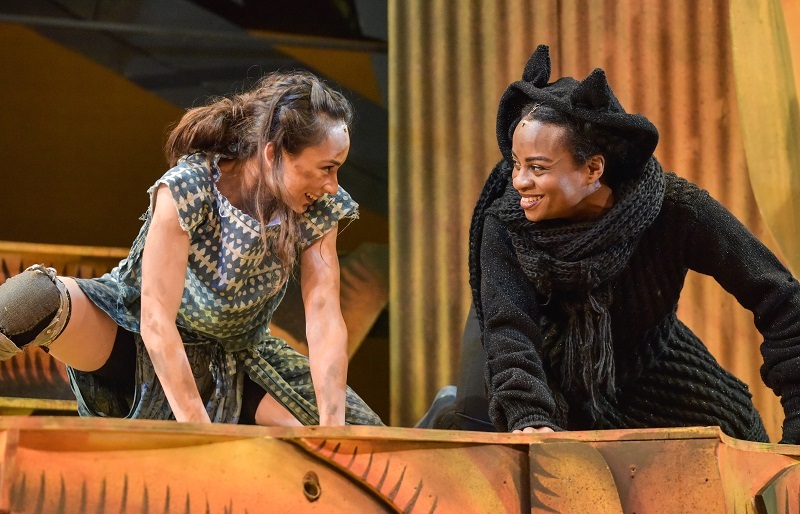 Iniki Mariano is superb as Mowgli, every movement lupine, eschewing as many human characteristics as possible. As Bagheera, Esme Sears puts on her best performance at Derby Theatre yet. Bold, endearing and an instant hit with the children, as is the rotund Ivan Stott as Baloo, taking method acting seriously, and keeping an eye on the musical score which favours folk over African, the latter of which is always signified by a beating drum. Anyone who has seen a Gilbert and Sullivan Opera or It Ain’t Half Hot Mum (probably the Mums and Dads/Grandparents respectively) will be familiar with the colonial figure of the Sergeant Major, entertainingly portrayed with bombast and buffoonery by Dominic Rye, who was kept on his toes by some witty one liners from the cub scouts. A full house greeted the finish with enthusiasm and warmth. I have never seen so many deaf, or partially deaf, people in an audience. In itself, this demonstrates the validity of reaching out to an audience which enjoys theatre, and should have access to it, if we make the effort. Derby Theatre did. As did the talented company, mixing professional with community actors, some of whom themselves had impaired hearing, completing the virtuous circle of involvement. The show has a heart as big as a lion, and a beat as insistent as herd of wildebeest on the savannah.